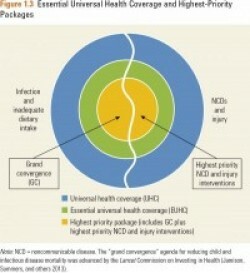 There are efficient pathways to essential UHC (EUHC) though the development of well-specified packages that aggregate to UHC, starting with a highest priority package (HPP) including a ‘grand convergence’. To achieve poverty reduction, it is more efficient to keep people out of the hospital rather than to pay their hospital bills. Volume 9 contains an overview of relevant fiscal, regulatory, and built environment policies. Intersectoral action has a key role to play in producing health, and should include heavily taxing addictive products (tobacco, alcohol, sugar) and controlling air pollution. "In important and useful ways, this third edition of Disease Control Priorities further widens the frame for discussion of health policies and priorities, innovatively addressing the different needs of countries at different stages in the development of their health systems. 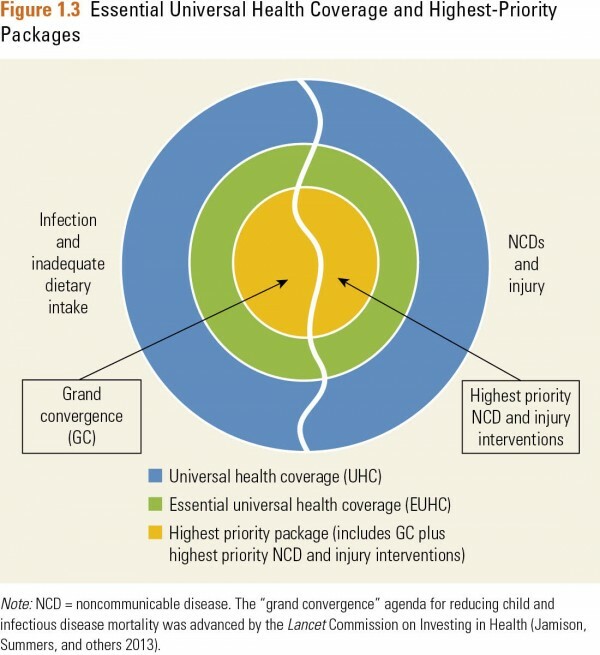 This edition maps out pathways—essential packages of related, cost-effective interventions—that countries can consider to speed their progress toward universal health coverage." The World Bank is publishing nine volumes of Disease Control Priorities, 3rd Edition (DCP3) between 2015 and 2018. Volume 9, Improving Health and Reducing Poverty, summarizes the main messages from all the volumes and contains cross-cutting analyses. 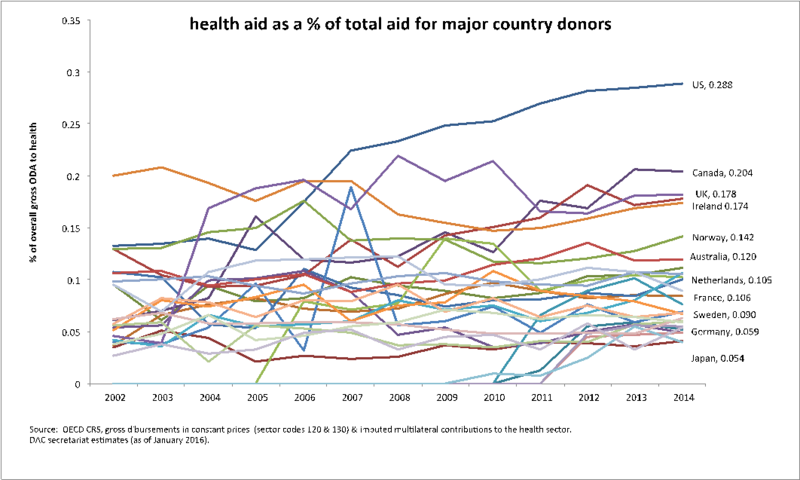 Source: Organisation for Economic Co-operation and Development Creditor Reporting System, gross disbursements in constant prices (sector codes 120 and 130) and imputed multilateral contributions to the health sector. Development Assistance Committee Secretariat estimates (as of January 2016). Volume citation: Jamison, D.T., H. Gelband, S. Horton, P. Jha, R. Laxminarayan, C.N. Mock, and R. Nugent, editors. 2018. Disease Control Priorities: Improving Health and Reducing Poverty. Volume 9, Disease Control Priorities (third edition). Washington, DC: World Bank.